On this day in 1980, the Mitsubishi F-15J/DJ Eagle had its first flight. 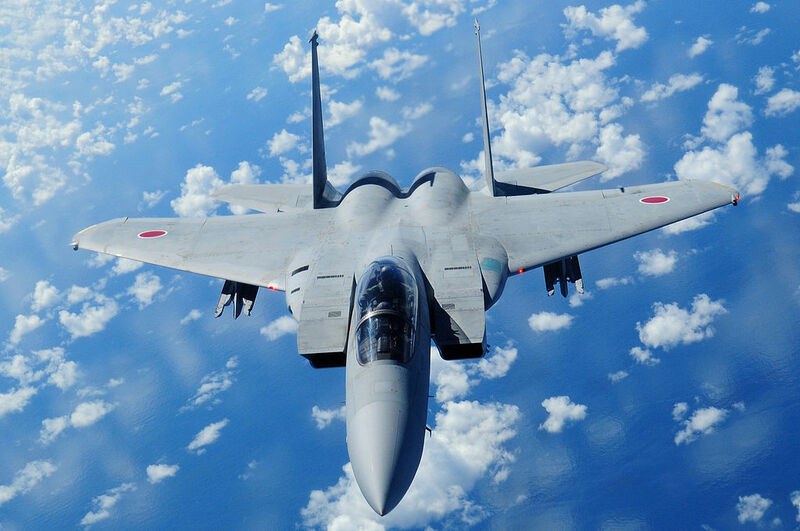 Built under license by Mitsubishi Heavy Industries, The F-15J is based on the McDonnell Douglas F-15 Eagle. It is currently in service with the Japan Air Self Defense Force, who operates 223 of the aircraft. The F-15J replaced the F-104J Starfighter and the F-4EJ Phantom for the JASDF. The F-15 was chosen as the replacement in December of 1975 and in 1978 Mitsubishi Heavy Industries was announced as the main contractor. After Congressional review, the Department Of Defense withheld the F-15’s electronic warfare system and engines from the license. F-15Js are identical to F-15C/Ds with the exception of ECM, radar warning system, and nuclear equipment. The AN/ALQ-135 Internal Countermeasures System is replaced by the indigenous J/ALQ-8 and the AN/ALR-56 Radar Warning Receiver is replaced by the J/APR-4. The engine is the Pratt & Whitney F100 turbofan, which is produced under license by IHI Corporation. Dubbed the “Peace Eagle by the Department Of Defense, the first Peace Eagle was delivered to the USAF for its first flight on June 4, 1980 and subsequent cruise to Japan on July 15, 1980. In addition, 8 more F-15J’s were manufactured in large components and shipped to Japan for final assembly by Komaki of Mitsubishi, with the first of these making its first flight on August 21, 1981. Companies divided the remaining share of aircraft and produced them under license from 1981, with the final assembly being performed in Japan by Mitsubishi.